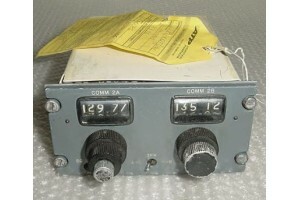 Gates Learjet Comm Control Panel w Serv tag, (foreign). 25MHZ frequency spacing. P/N unknown, unable to read.